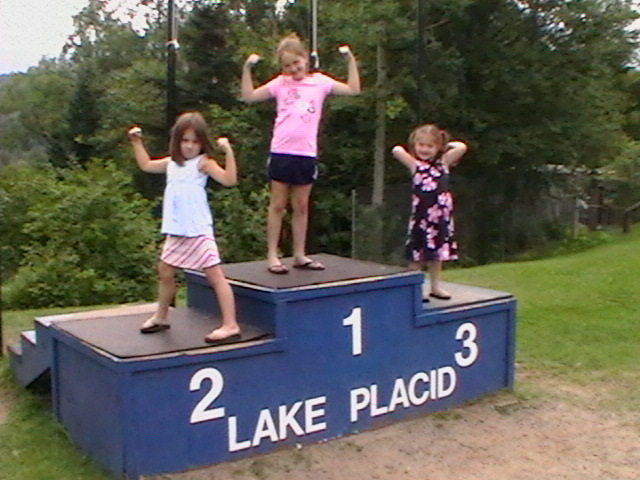 Going to the Lake Placid Lacrosse Tournament for the first time ever in 2010 was worth the wait. Having played Lacrosse for almost 30 years now with the tournament going strong for over 20, it was nice that I finally got the opportunity to head up to Lake Placid and participate on the Laxfu team which was made up of many of my old high school Lacrosse alumni from West Genesee HS, in Camillus, NY as well as some of their respective college teammates, many of which were Priceton Tigers. Playing 4 games in 28 hours was a little interesting on the body after not really getting into the shape I wanted to be in prior to the games. Running had been bothering my knee so I figured I might as well save the pain for the tournament. A tweak here, a tightening there, a bruise or slashmark over there and I ended up making it through without a “major” injury, which is always a blessing when trying to be a weekend warrior. Getting together with everyone was great off the field as well to be able to catch up on times and see how their families have grown (many wives, parents and children attended as well). To develop new friendships with teammates from other schools was also a great reminder of the power of lacrosse. It is such a community developer and allows for networking to blossom and has allowed many of us to be successful in our current careers. Though going up with the intent to be competitive, which we were, just missing the championship tournament by a few points, we ended up 2-2, losing both of our afternoon games (the second of each day). One of the loses was by only 1 goal and the other was to the eventual champion, Rusty Red, a group of Cornell Alumnus (who repeated as champs). The other intent was to have a good time, which I believe all that came did, from the players to their family. I am looking forward to next year already and will get myself in a little better shape so the recovery is quicker on my aging bones! The surroundings themselves were great, though it could have been a little warmer when we were not playing. Taking part in some of the Olympic scenery and the Jumping Center was great and my three girls loved watching the “skiers” go down the hills, leap and flip into the pool below! Just wondering if you had any further information on the Downforce method. I have a unique set of fingers and this method would be ideal for me.